We started the first week back at school strongly, and then it quickly devolved into chaos as first James got sick (he missed three days of school), and now Annie is sick. Our home hasn’t been illness-free since before Thanksgiving and I AM SO TIRED OF IT. I’m tired of seeing my babies miserable, and I’m also tired of the constant rescheduling that illness requires. I have so much to do, I’m so behind on life!!! At least James will be back at school this week…fingers crossed Annie recovers faster than her brother. 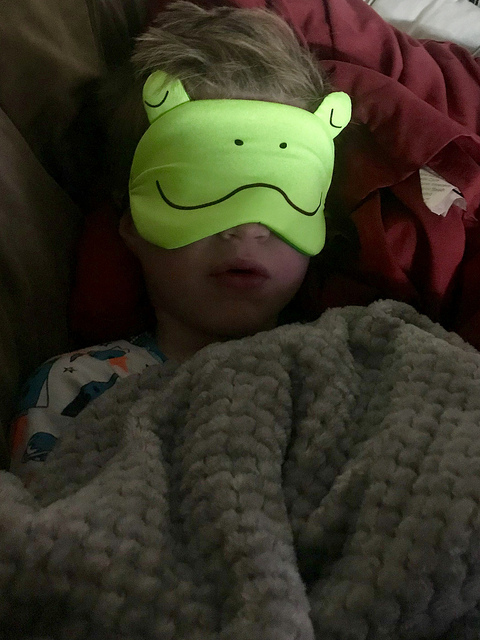 My sick little froggy loves his sleeping mask, LOL. ~The world’s oldest woman was 122 when she died. A researcher says she was lying about her age. 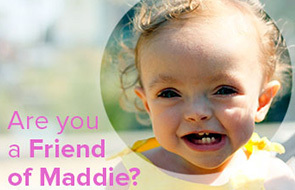 ~How does someone in a vegetative state have a baby? ~Elwood, Illinois (Pop. 2,200), Has Become a Vital Hub of America’s Consumer Economy. And It’s Hell. ~Rotary phone leaves 17-year-olds baffled. ~My friend Casey posted a video of themself playing Connect 4 Shots with their daughter and it looked so fun that I immediately ordered one. It’s Connect 4 meets beer pong. You want it. ~Anyone who has a Nintendo Swich needs the 1-2 Switch game. It’s seriously fun for all ages (I’m obsessed). ~Unstable Unicorns is a blast to play. It’s best for ages 8+, but now that James can read he plays with us, too (with adult help). I also despise sickness in our house because of how it completely derails everything. UGH. Hope you guys are through it and onto a healthy 2019!